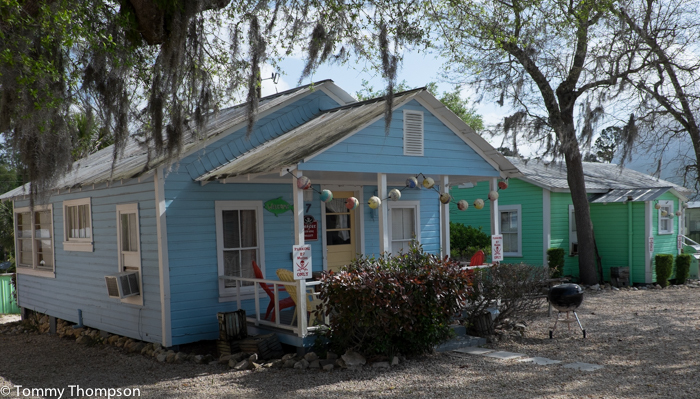 The “Shacks” at Steinhatchee—A Cut Above The Average “Shacks”! Not too many years ago, when they were Paces’ Cottages, what’s now the Shacks at Sea Hag Marina were exactly that–SHACKS! 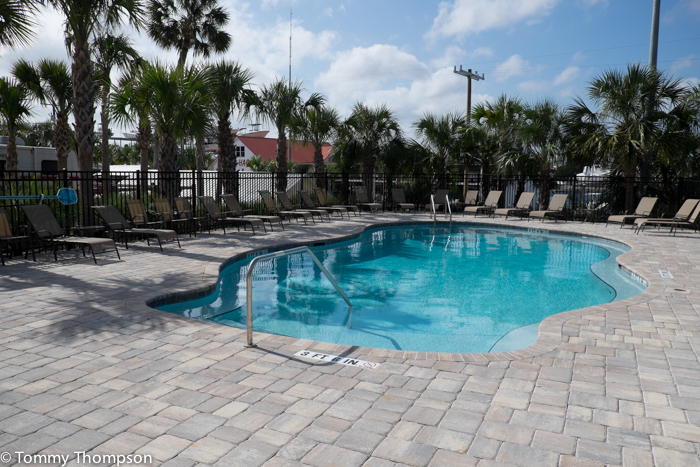 But since the purchase of the property by the Norwood family, and after a lengthy and elaborate upgrade, these cottages and houses are now some of the best rental lodging in Steinhatchee. 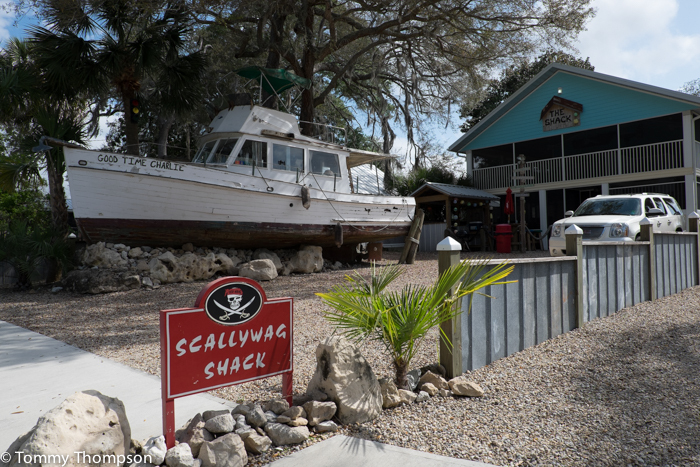 That’s great, too, if you’re planning to fish (or scallop during the summer season), as they’re located just across the street from Steinhatchee’s largest marina, the Sea Hag. 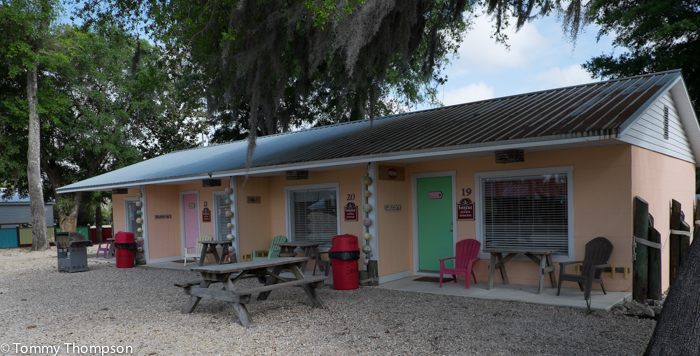 There are more than 20 cabins and motel rooms available at The Shacks. Prices vary, and many are designed for large groups or families. There’s a full description of each on the Sea Hag’s website. Some of the options have full kitchens and there are different sleeping setups–singles, doubles and even a converted motor home! And a big bonus to staying at The Shacks is the new (2015) swimming pool! There’s nothing like a cool dip after a hard day of fishing and boating! How’s this for some “Yard Art”? 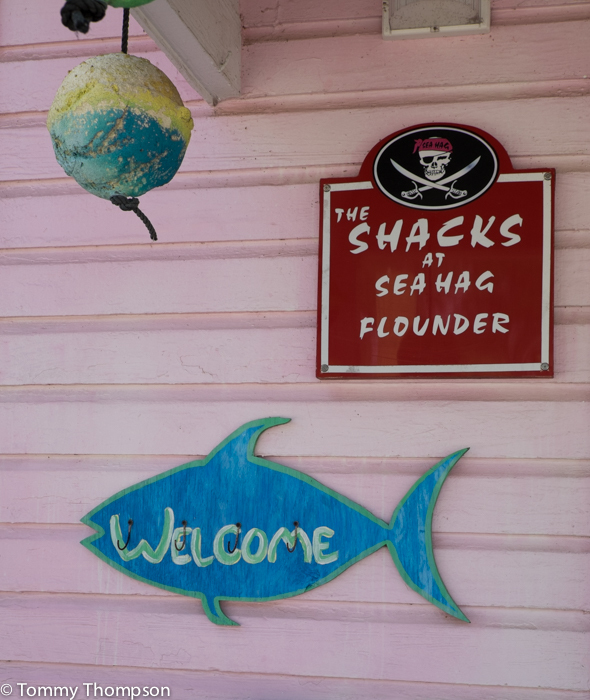 The sign says, “Steinhatchee..Laid Back Since Way Back”–a fitting description for life at Steinhatchee and The Shacks!